Putting your child in karate is a fun way to achieve fitness and focus especially for young children 7-12 years of age. At this age, kids are trying to figure out what interests and skills they have and parents are trying to figure out ways to keep their kids more physically active and away from video games. 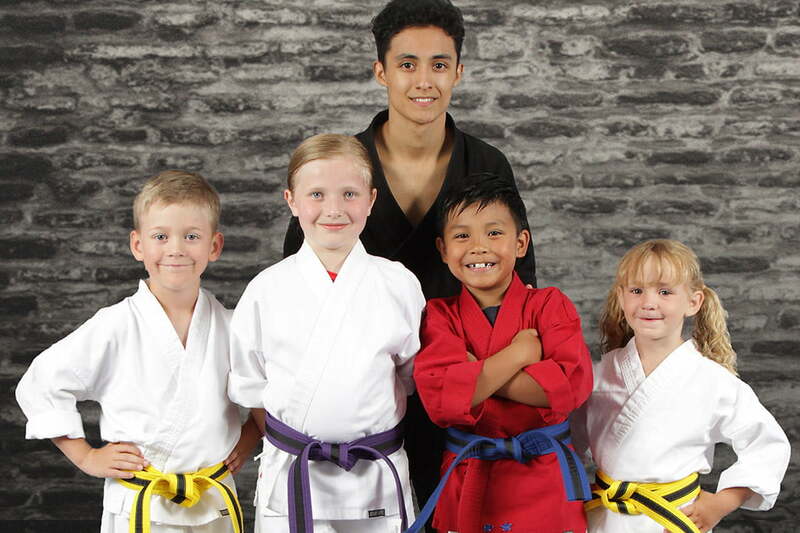 One of the best things about Bernardo Karate is we offer both competitive and non-competitive programs for children. In our regular karate programs (non-competitive) it does not matter what your child’s skill levels are or where their talents lie. The only competitor they will face is themselves. Kids get to draw in on their own strengths. The standard for achievement is set by each individual, with the goal of becoming the best THEY can be. Children will work hard and learn focus and discipline. They will goal set and advance to the different belt levels in our martial arts system. Your child will gain knowledge and learn “bully-proofing” techniques and self-defense. And even though we are teaching your child how to punch and kick, they will also learn not to be aggressive and not to use their new skills to fight. So even though we are teaching your child to protect themselves and others, we are more importantly teaching them self-control and how to be peaceful with their new knowledge and physical skills. Overall, in our non-competitive programs, your child will have fun, stay active, improve physical skills and life skills and make life-long amazing friends! Our Bernardo Karate Competition program teaches students who want to learn about the sport of martial arts and learn how to compete at tournaments. We understand some kids enjoy the excitement of competing so we have created a competitive component to some of our martial arts programs. However, kids interested in competition also need to participate in our regular karate ‘non-competitive’ programs. We have a “Regional” Competition Team where students new to competition get to learn and compete at tournaments locally and just outside of London. 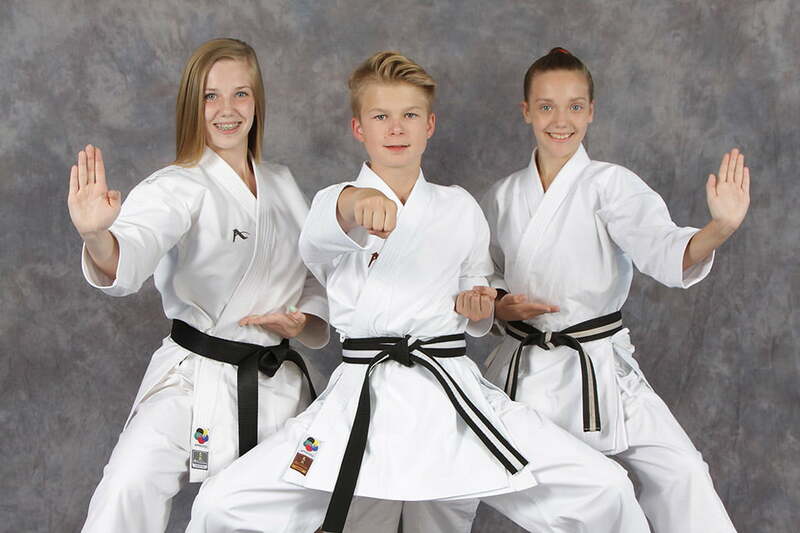 Our “National” Competition Team is a step up, where students travel throughout Canada and also compete internationally in the United States, South America and Overseas. Both teams learn about winning and losing in a positive and supportive environment. We stress and teach that all students must have good sportsmanship and have control over their emotions if things don’t go their way. We teach them to always learn from their losses and to always be humble in their accomplishments. And even though the kids are competing individually as opposed to a ‘team sport’ they are learning a real sense of camaraderie and support between all of our students who compete. Two of the main goals of our competitive program are #1. To help young competitors grow in effort, skill and ability and #2. To help them learn how to display good sportsmanship that will carry over into other areas of their life. Very friendly and supportive environment! Kids enjoy working hard to achieve belt levels with instruction from amazing black belts helping along the way. Our 6-week confidence course helps build the necessary skills and traits your child needs for a successful school year.